Okay, so this post has nothing to do with budgeting but it does deal with saving money. 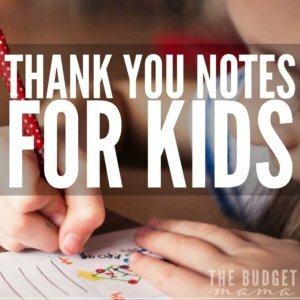 Because y’all, my goodness gracious, thank you notes for kids are ridiculously expensive! I’m a firm believer that sending handwritten thank you notes should never go out of style. But, I don’t believe in paying a fortune for pretty note cards either. 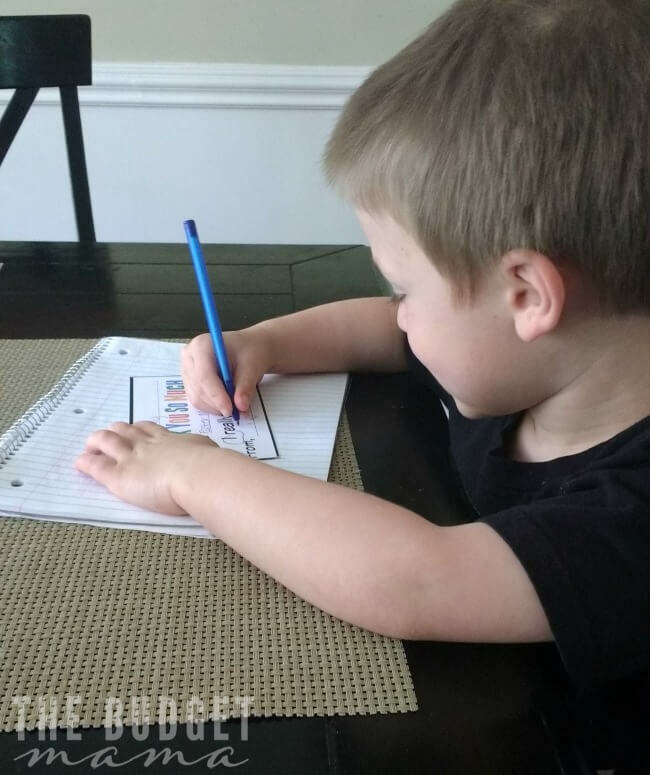 And now that my oldest is learning how to write his name, I’ve been making him sign his own thank you notes. Well, that was working fine and all until he said to me, “Mommy, pink is your favorite color. I don’t like pink.” He was referencing my super pretty-in-pink thank you notes that I was using to write our Easter thank yous. And you know what? He was right. If I want him to enjoy the process of genuinely thanking someone, he should at least have his own thank you notes to use. 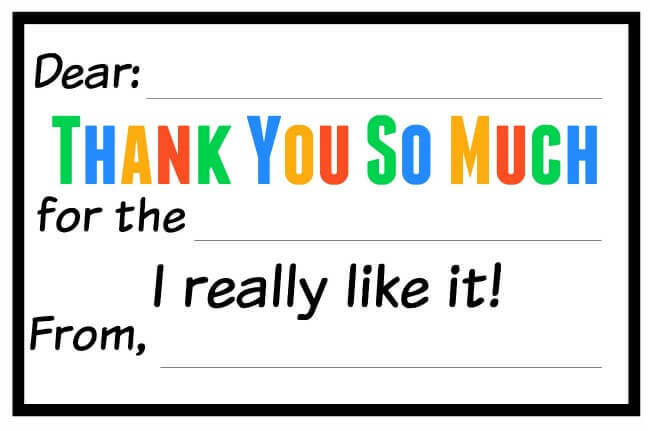 After searching on the almighty Amazon and Google for thank you notes for kids, I realized that the prices for them were umm…..crazy to say the least. I mean who in their right mind would spend $15 for a pack of 10 thank you cards?? I mean, these cards aren’t even monogrammed and they cost fortune (culture reference – here in the South, we monogram e-v-e-r-y-t-h-i-n-g so it’s a big deal if we pay a fortune for something that isn’t personalized). So, I decided to just create my own, print ’em and have Conner fill in the gaps. He is still learning how to sign his name so I had to fill in the other areas, but overall he’s getting the hang of it. Granted, these aren’t super amazing or anything but they get the job done. I suggest printing these off on card stock and then using a straight-edge paper cutter (I have a cheapo one from Target that works great) and then digging through that junk drawer and grabbing some left over envelopes from last year’s Christmas cards. 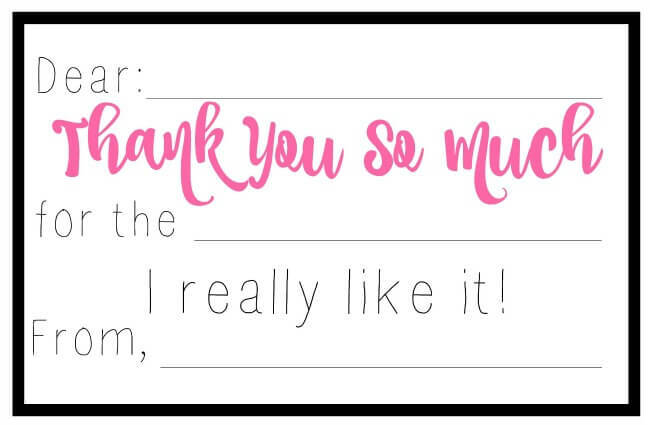 I created a couple of different options for the cards so your children can pick and chose which ones they want to use for their thank yous. These do print on regular 8.5″x11″ paper but you can adjust the size they print by going to print then properties and changing the size there. This tutorial from Clean Mama is super helpful in figuring out how to re-size printables. 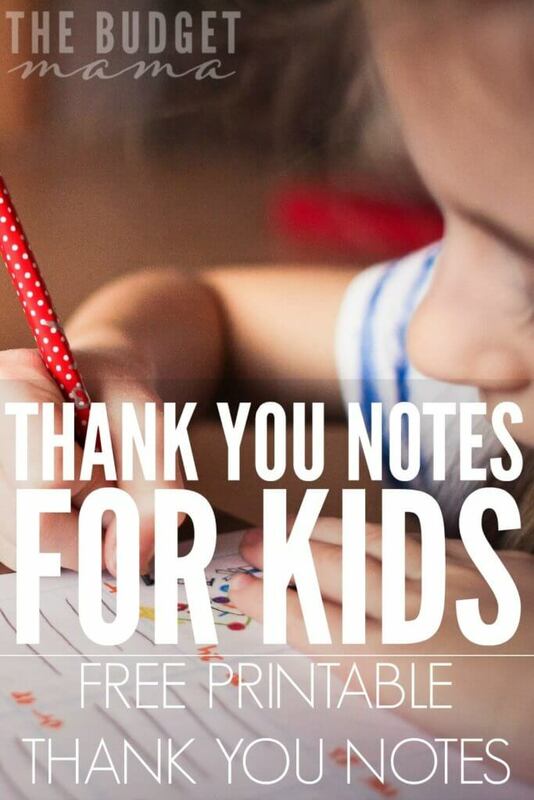 I agree that thank you notes should never go out of fashion. However from a purely practical perspective, they actually *can* help with budgeting. Why do I say this? Because in my experience, people like receiving thank you cards and are more likely to continue giving you presents if you express gratitude for it. That frees up money you can spend on other things instead. I know it’s quite mercenary to actually say that. And I’m not saying you should write thank you notes because you’ll get more stuff that way. I’m just saying – People like it when you show a bit of gratitude, and tend to respond accordingly. Do it because it’s polite; but don’t be surprised if it leads to continued giving! Yes! 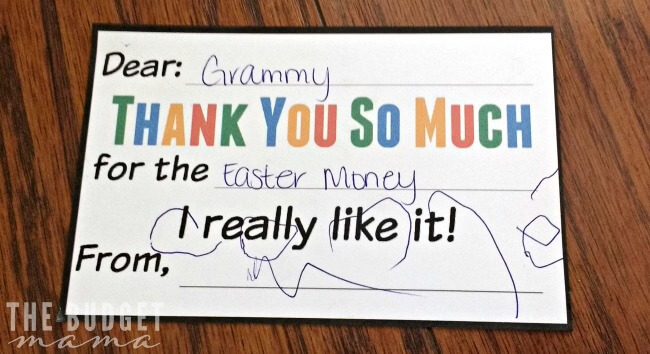 Teaching children to write thank you notes is so important! Such a cute idea! I will definitely be using these. What a great way to teach character at a young age in a simple way!